Whether you have a lot or a little, everyone needs to manage their money. Like so many areas of life, you can do things entirely by hand, or you can turn to software to make your life easier. There's a wealth – if you'll pardon the pun – of personal finance tools out there, but many of them involve having to put your hand into your pocket, dig deep and part with some hard-earned cash. You could, of course, pay an accountant to take care of your money for you, but this involves and outlay that you might well prefer to avoid. Take a look through the selection of free tools we've collected together, and you should find something that suits your personal finance needs, making it easier to keep track of your money. This free personal finance software could hopefully save you some money too or, at the very least, see where you're currently spending it. GnuCash is simple enough to be used for home finances, but flexible enough to be put to use by small businesses as well. While the software is easy to use, the fact that it's suitable for small business accounting is thanks to the inclusion of a number of extra features that you would not necessarily expect to find – support for payroll management and double-entry accounting, for instance. 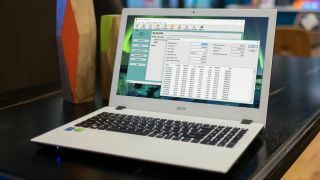 Although relatively easy to use, this free personal finance software does really require some familiarity with accounting software, and it's simple to migrate from another program because you can import data in QIF and dOFX formats. Support for expense tracking makes this ideal software for preparing for tax season, and there are a huge number of reporting options to help you to make sense of your cashflow. The software is available for macOS, Windows and Linux, as well as Android, and it's highly recommended that you try out this great tool before you consider any of the paid-for alternatives. Money can be easily pulled from and moved between different accounts, and Buddi can generate all sort of reports about your spending and earnings broken down in a variety of ways. If you're looking to save money, the program can help you to stick to a budget and for anyone who is completely new to the concept of accounting, the Buddi website has a number of helpful guides to help get you started. On the downside, Buddi requires you to have Java installed which is not going to be to everyone's liking, and the software itself has not been updated for a little while. Neither of these two factors are enough to stop us from recommending that you take a look at the program – it could well be just what you've been looking for. Billing itself as an alternative to Quicken sets a high bar for AceMoney, but it's a target it manages to reach, even in its free, cut-down iteration. There's only support for two accounts in AceMoney Lite, but this should be enough for many people – and the full edition of the program is only $40 (around £30, AU$50) anyway. You can even use the program to keep track of your PayPal account. Managing accounts in different currencies is no problem, but you'll have to enter data into this free personal finance software rather than having your transactions pulled in from your bank account. That said, if you download statements from your online bank account, these can then be imported to saved time with manual entry. AceMoney Lite also makes it easy to track your spending and investments, making it a great financial tool for anyone looking to take control of their finances. HomeBank will appeal if you work on multiple platforms, or don't use Windows by default. Available for Windows, macOS and Linux (there's also an Android app in development) HomeBank can be installed normally or as a portable app, and it makes the topic of personal finance easily accessible. If you've been using another program – such as Quicken or Microsoft Money – to manage your finances, you can import data to save having to start from scratch. You can add an unlimited number of accounts to the program, and they can be linked to each other to allow for easy money transfers – it is all entirely dependent on manual editing, though. With enough data entered, it's possible to generate all manner of reports, including helpful predictive reports for car ownership and the like. Very much designed with the average person in mind, this is a personal finance app for people who hate personal finance apps. Buxfer is an online tool that makes it easy to manage all of your accounts in one place – although there is also an Android app available. There's support for over 15,000 online bank accounts from all over the world, so you should find that yours is there, and then you can pull in all of your transactions without the need for manual entry. Buxfer can also pull in data in from the likes of Quicken and Mint, help you manage budgets and forecast costs and earnings, and track investments with ease. You will have to spend time categorizing transactions manually if you upload them from your statements, but this isn't too much of a chore. You can set up alerts, track bills, and predict spending patterns; it's a highly versatile tool. There is a free version of service available, but there are also three paid-for tiers ranging in price from $1.99 to $4.99 per month. It's worth taking the free version for a spin to see if it could do the job for you – this will let you work with up to five accounts, which is likely to be enough for most people.